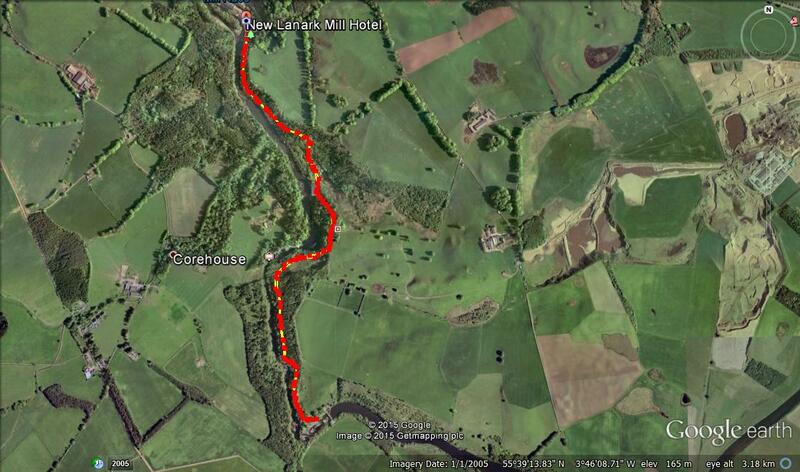 Walking conditions – Footpaths and tracks. Can be muddy in many places especially after prolonged rainfall. Please be aware that there are some very steep drops which are close to the path in places. It can be very dangerous for children to veer off the path. New Lanark World Heritage Site is the location of a large cotton mill once owned by Robert Owen. He was an early 19th Century celebrated philanthropist (his exploitation of poor people wasn’t as extreme as his peers) who has been credited with many social reforms including being the founder of infant childcare in Scotland. New Lanark Mill is a fantastic centre and apart from all the interesting and spectacular historical stuff, there’s loads to do with children. Attractions include a playpark, café, an old fashioned sweet shop, roof garden and the Annie McLeod Experience. Unsurprisingly, there are also a number of fantastic walks. In fact , there are no less than 5 official walks form this site alone. On any of these walks the one thing that needs to be stressed is that there will be places where the footpaths are perilously close to high vertical drops into the Clyde. So please keep young children beside you at all times. From the heritage centre walk in a southerly direction along the footpath which skirts along the edge of the Clyde. After about 800 metres you’ll pass the hydro-electric station and a few hundred metres later you’ll see the falls at the Cora Linn. Continue your walk along the Clyde which in places is very close to sheer cliffs and soon you’ll pass the peregrine watch-site. After another few hundred metres you’ll then reach the falls at the Bonnington Linn where you can cross the Clyde if you so wish. Return via the same route. 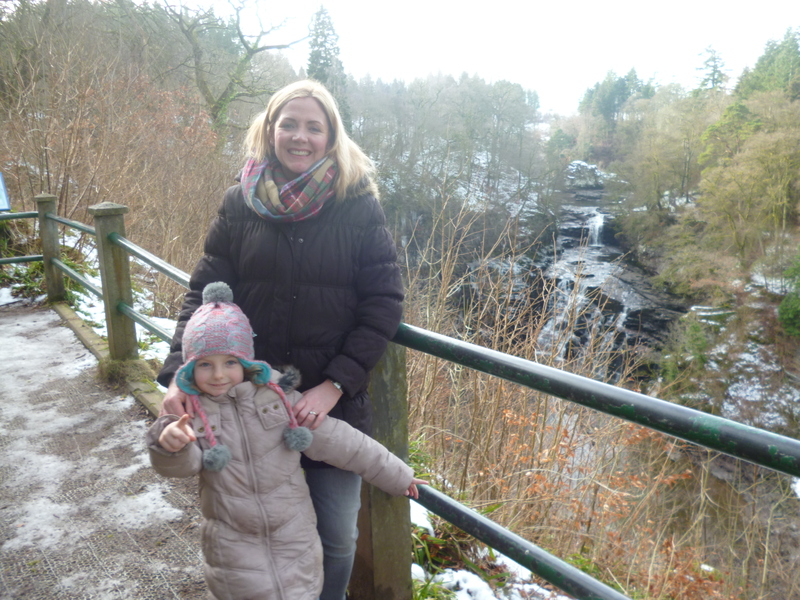 This entry was posted in Central Belt and tagged Clyde Walkways, Gorge walks on February 15, 2015 by scotlandwalkswithchildren.